More than one million users around the world are registered in the social network Facebook. Approximately one-third of them are Russian users, it is for them to analyze in this article, what to do if a page on facebook is blocked? Do not worry, if your page randomly fit under the ban system, much worse, when you were in illegal activity or violated the rules of the system, whereas recovery will be very time-consuming. The irony is, that a random page lock may occur in any of the social networks, but the most difficult to restore your account is on facebook. First of all, panic stop and gather my thoughts. Of course, Profile recovery will take some time, but all personal data will remain with you. To simplify your task, it is best to enroll in a special social. network – FriendFeed. It's not obligatory, but trust, It will play an important role in the restoration. so, to return all personal data, the system will prompt you to pass 5 mandatory steps. Will notify you about, that the procedure will last for 5 minutes, it is not worth believing, tk. the average recovery takes one hour. Having overcome all the steps, you will only confirm, that you are a person and enter the captcha. Now comes the hardest part, facebook administration puts in front of you the next task: you need to guess the owner of her pictures page (of course, All profiles will be selected from a list of your friends). It is important to know, you have two for error, the third time your account will be blocked, and the operation will have to re-prodelyvat. Most often, the person adds a lot of strangers to your friends list, and there is a pitfall. For if justice, guess the name of the person, that you completely unfamiliar, quite difficult? To pass this step and you should register in the system Friendfild. The fact, that this site duplicates the list of your Facebook friends. You just scan the list and enter the data. true, facebook does not inform you of the correct answer, and thus pass the test you will be blind. It glows situation and causes a person to be nervous. And because the service only accepts the correct entries, you can not make mistakes in writing. Be extremely careful. Besides, the user often puts any image instead of a photo. And again, without the use of additional features, you will be in difficulty. Of course, you can try to guess the name or remember, who could be hiding under the picture. Sometimes it happens, the system gives you a group photo, so you have to choose, who is from the people in the picture is the owner of the account. 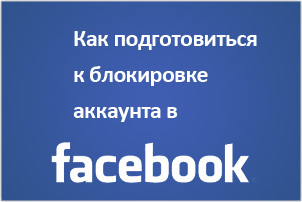 As you know, that restore your account on facebook, quite difficult, Besides that takes a long time. also people, have been in this recast, advised to do this operation several times, until the page is completely unlocked. Perhaps you find it easier to create a new page on facebook, after all this is done quite simply. by the way, in this article you can find the instructions, how to create a new account on Facebook. After creating a new profile, you will be able to re-enter your personal data and restore the friends list manually. But, if you do not mind the whole operation with the restoration, feel free to use the manual. Having examined the situation, we defined, that the famous social network is a serious mistake, which takes time away from the plurality of users. Although, This disadvantage can not undo all the advantages of the site. Besides, you can contact customer support and ask to renew your account manually.